How could you make a very simple yet charming necklace in 1 minute? Here it is; you can make it in a minute and wear it on a plain white t-shirt, look pretty amazing. So, let’s watch the video and see the trick. Do not worry about the subtitle; you just need to follow the moves. 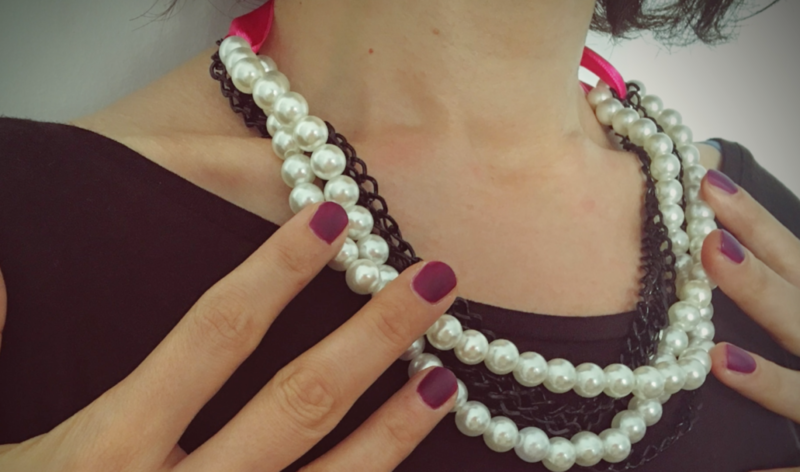 Supplies needed: Fake white pearl beads, a long black chain, a pink ribbon, scissors. All you need to do is to combine them as it’s shown in the following video.